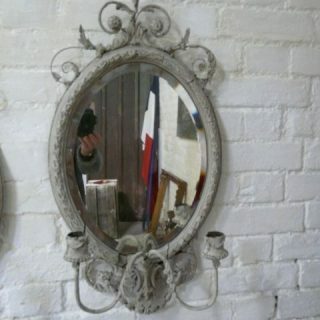 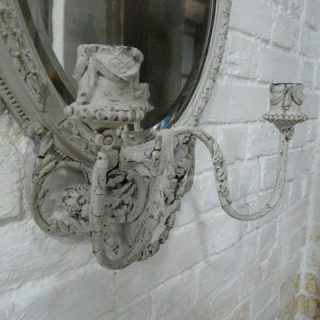 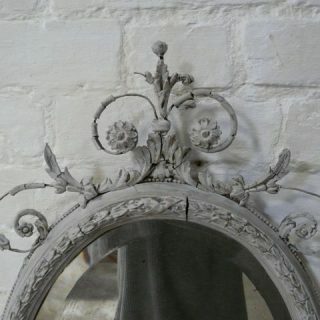 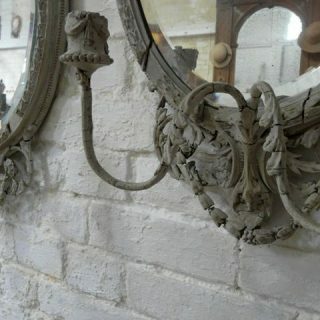 A stunning pair of painted 19th Century French girandole mirrors, gently worn, the missing gesso here and there revealing the wire structure thus giving them great appeal and the charm associated with faded grandeur. 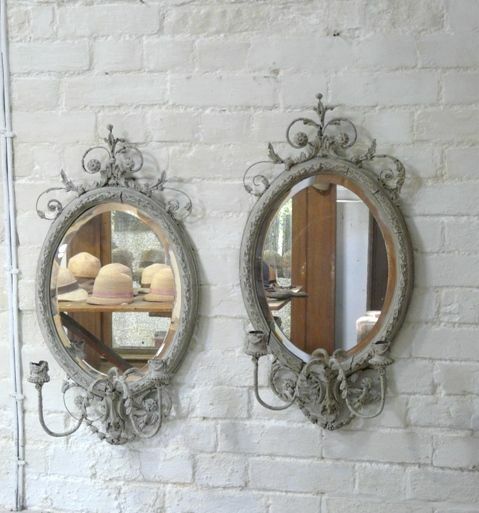 They have both retained their original bevelled mirror plates. 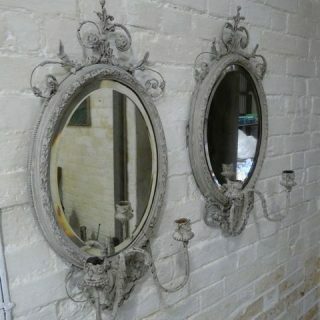 Their size also most appealing with a height of 70cm and a width of 37cm.